Our brains are wired to take shortcuts. It means we don’t have to consciously arrange every single breath that we take or choose every blink that clears our view. This ability to automate is also our antidote to so much noise in our world. Those shortcuts protect us from overwhelm and confusion. And there are many times, I have to say that I am very grateful for that. The downside however is that shortcuts can also mean you miss things. Maybe, you didn’t realise your son had grown so much until he needed larger shoes, even though you were looking at him every single day. Maybe, you didn’t realise the beauty of that tree until it had fallen down or the fact that all of a sudden that deadline that seemed so far away is looming large. Shortcuts can mean you don’t always see things as they are happening. In business, shortcuts can mean you don’t always see your customer. 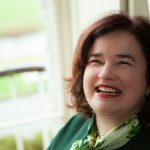 Now, I’m sure if I asked you to tell me who your customer is, you would be able to say whether they are male or female, how old they are and some of the other baseline demographics that indicate a positive match for you in terms of customer. What I’ve found over the years though is that there is a tendency not to go any deeper than that. There is a tendency to see the demographics alone when we think of customers. That, in my experience puts too much distance between you and the human being that is your customer. That distance doesn’t allow their story to come through. And, to be honest, their story is far more important than yours or mine in the scheme of things. Their story allows you and me to create and to deliver what they need. And that becomes the secret sauce of all marketing. When you See Your Customer. You See Their Story. It Is Their Story That Helps Us Succeed. I had a very interesting experience recently that took me out of my normal routine and my usual way of thinking about things. 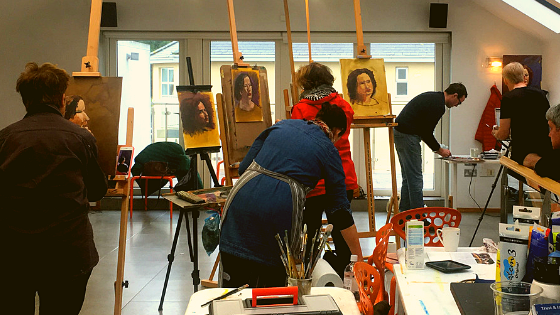 I was invited to sit for my portrait, during a 4 Day Portrait Painting course at Artform School of Art based in the lovely Dunmore East, Co. Waterford where I live. The instructor was the gentle yet powerful soul that is Tony Robinson and I was to be one of the models. As a model I would have to sit in the same position for 3 hours so that each student could capture my portrait. I wouldn’t be able to move and yet I would need to be comfortable enough that I was relaxed in my pose. Because of course, tension can also be captured in a portrait. As a guide for this process, Tony was truly insightful. He made sure I was comfortable to begin with, advising me to choose a place to point my nose which released my eyes to look around the room and take the whole process in. This freed me to watch the artists watching me, seeing me, through me, at me or at how the light fell on my nose or my cheek. Some looked at me. Some looked through me. Each had their own style for relating to their subject. I did find it curious those who chose to meet and engage with me at the start of the session and those who didn’t. Interestingly each artist saw something different and produced a different portrait. And Yet… All of them were me. Just through different eyes. Tony was able to straddle both views. He could switch between “observer” mode to catch the specific details of where the light fell on different parts of my face. He could see where colours moved in different parts of my hair. And yet still, he acknowledged the human being in front of him and checked in with how I was doing during this process. He could sense when the tension seeped into my face and quickly alleviated it with a small phrase that appreciated me being there. He created what I call a “space of allowing”. This is a space I see in all my own work. It is a space where magic happens. Magic that day could have been in the moment where a particular colour was captured in the light or when the dog sat with me as if he too was in the portrait. A moment where we all smiled and relaxed into our work that day. This is a space that needs to be cultivated more. It is a space where you really get to see your customer regardless of whether they are an artists’ model, an engineering company or a Christmas shopper. An Artist is Inspired to See what others Don’t. It is a gift I think that we as marketers, business people and entrepreneurs could choose to learn. Thank you to Artform, to Tony and the wonderful artists on the day. And thank you Martina, Artforms brilliant co-ordinator for giving me this opportunity. I will cherish it and the portrait that Tony gave me at the end of the session. Meet the Human that is your Customer. Check in with them often, not just once. It’s far more important than yours. Create a Space for Magic to Happen. In this space, you’ll discover something different that you can offer and help them with. They’ll show you the way. They always do. Love this – in our rush to progress and do what we’re “supposed” to do for our business, taking the time to really “see” your client/customer is a step that’s often overlooked. It’s all too easy to assume you’ve figured out your customer avatar as part of a box-ticking exercise, and forget that people don’t tend to fit so easily into a pre-determined slot. What can you see that others may not? Thanks for this insightful reminder Finola. What a beautiful portrait Finola, something to treasure forever. Great post too, particularly the piece about creating “space for allowing”. It’s so important to see the human side of the customer and understand what’s going on with them, their motivations and challenges. It’s how relationships are formed. And yes seeing the human not just the human side is pivotal… we get too stuck in our businessy heads that sometimes we forget the human piece where all the magic happens. Beautiful likeness Finola! Your article definitely resonates with me (from an lapsed artist’s perspective as well!) 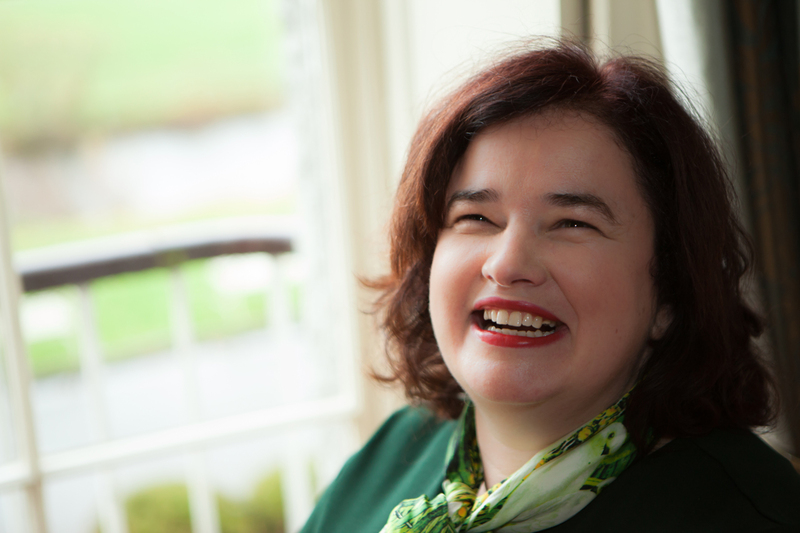 My family research is personal and I always try to connect with my clients to personalise my work – I don’t often get to meet them in person so it is essential to me that they feel I genuinely want to give them something to treasure. Lovely article Finola. The artist certainly captured you in this portrait. A wonderful piece and chance to be still. A nice reminder that folk are more important than business. The business will follow. Thank you Anne… the chance to be still always yields insight. We need to bring that into how we do business more don’t we. Taking the time to reflect, pause and search for the deeper answer. Thank you Finola, you have just reminded me of how art moves me inside and our ability to see things so differently. Each one of us have such unique ways of seeing even if we are looking at the same scene in front of us. Noticing and capturing nuances that are there and that others may not see at all until it is portrayed in a different way or highlighted is a distinct skill. I love that that ability and I love looking at things through others eyes too, it take you out of your own head and into a different realm. It was interesting that some artists didn’t talk to you at the start, maybe they felt that by not knowing you they could concentrate on what they see, and not have to deal with the real person sitting in the seat who’s personality, feeling and emotions would or should be seeping into the portrait. If you are not very confident it can be hard to make these qualities come out in a portrait that in itself is a skill. 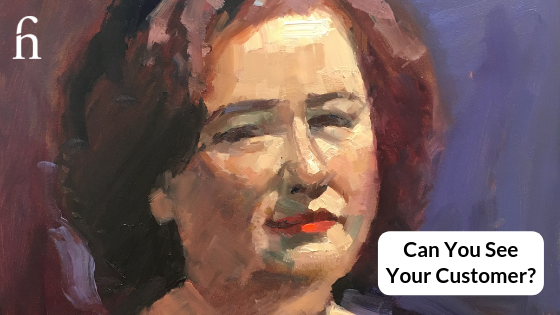 Like portrait painting, mastering your tools in this case knowing your “customers” and understanding their inner nuances ” their needs and what makes them tick” is the key to a successful business. Now if I can do that too, I will be on the road to success. Thank you for Sharing. So glad this piece resonated with you Rachel and thank you for helping me get in the right mindset to truly appreciate the experience. Your insights as an artist did that for me. Like you, I also found that idea of not talking to me curious and yet I accept that there is more than one path in the creative process so I respect that. Sometimes we don’t need the noise of the subject to “see” their truth. Knowing and understanding comes to each of us in different ways, don’t they? As for you, I can see your “knowing and understanding” and your road ahead looks bright.